It’s that time again.. 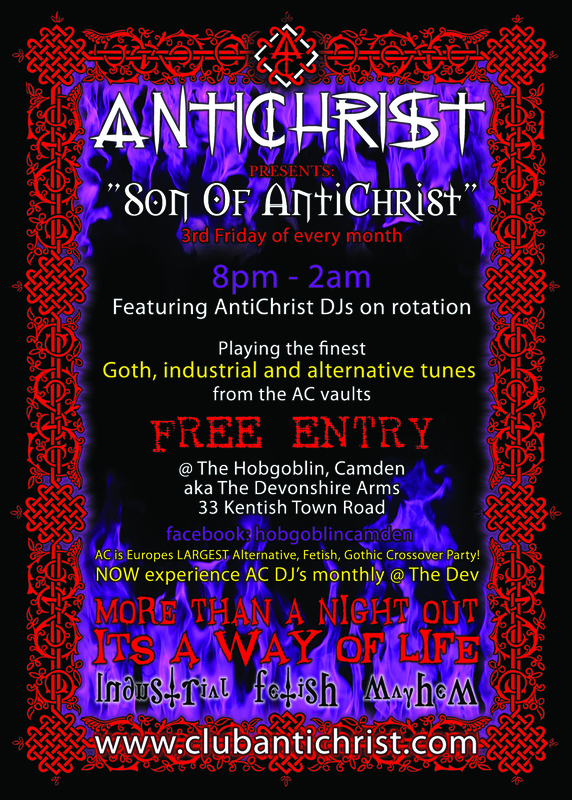 Son Of Antichrist is once again at the Devonshire Arms (Hobgoblin) in Camden Town on Friday November 16th from 8pm – 2am. Club Antichrist DJs bringing you the very best anthems from GOTH/INDUSTRIAL/POST PUNK/ALTERNATIVE/METAL..
As always, entry is free and bar prices are standard. Click on the link below for the Facebook event..
~ by calumgray on November 7, 2012.